Keep your tee shot left to avoid the water that protects the length of the hole on the right, two fairway bun­kers make the correct line and shape of shot very important. 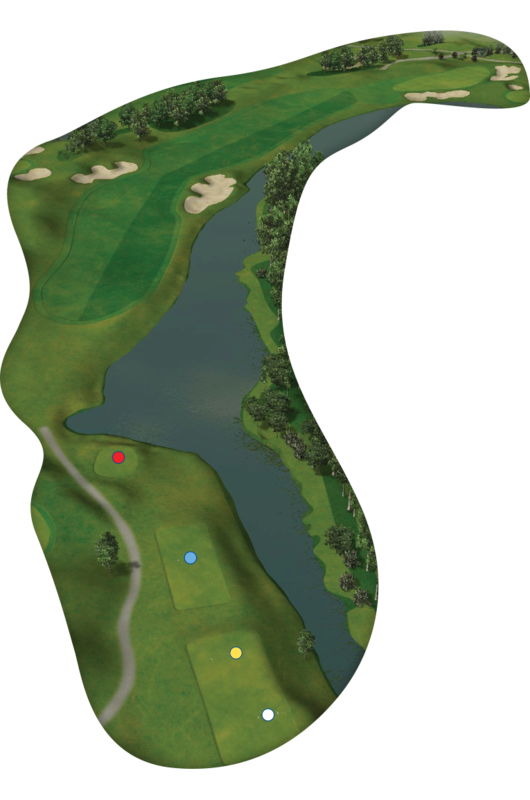 The approach is slightly up hill to an extremely long green which can mean the difference between 3 or 4 clubs. A demanding hole!